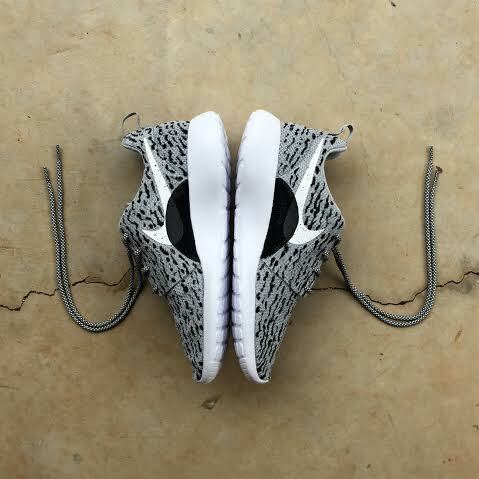 Have You Seen The Nike Roshe Yeezy 350 Custom? 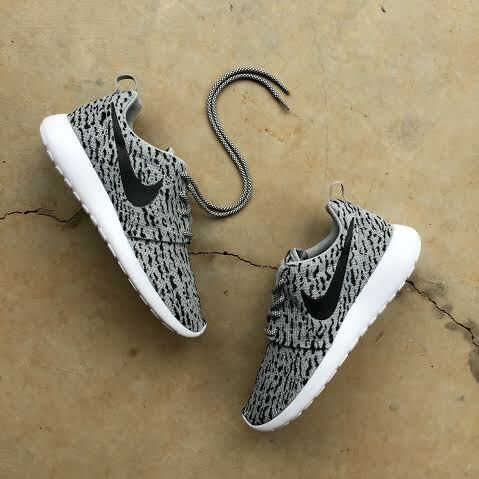 Ever since the first photos leaked of the adidas Yeezy 350 Boost, people have been comparing them to Nike's Roshe Run. While there have been plenty of Photoshopped memes of the two sneakers resembling one another, AMAC Customs really put it to the test. Taking the adidas Yeezy 350 design (because nobody wants to turn the Yeezys into Roshes) and completely decking out a Nike Roshe Run with it. The Nike Roshe Yeezy 350 Custom from a fair looks pretty damn close to the actual 350 Boost albeit the huge Nike swoosh down the side. AMAC Customs went all in with this one - including the middle hem, inside black patch, and even the rope laces. Up close you can really tell the differences between the two, but kudos to AMAC Customs for finally showing us exactly what people were talking about. Let us know what you think of the Nike Roshe Yeezy 350 Custom below!